Bas-relief of Ten-armed Lokeshvara, about 1216. 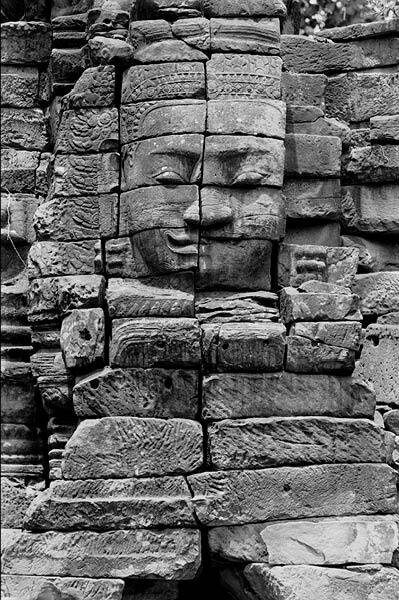 Northwestern Cambodia, Banteay Chhmar, west wall, reign of Jayavarman VII. Sandstone; 53 blocks, section averaging 275 x 325 x 22 cm. National Museum of Cambodia, Phnom Penh, Ka.2859. 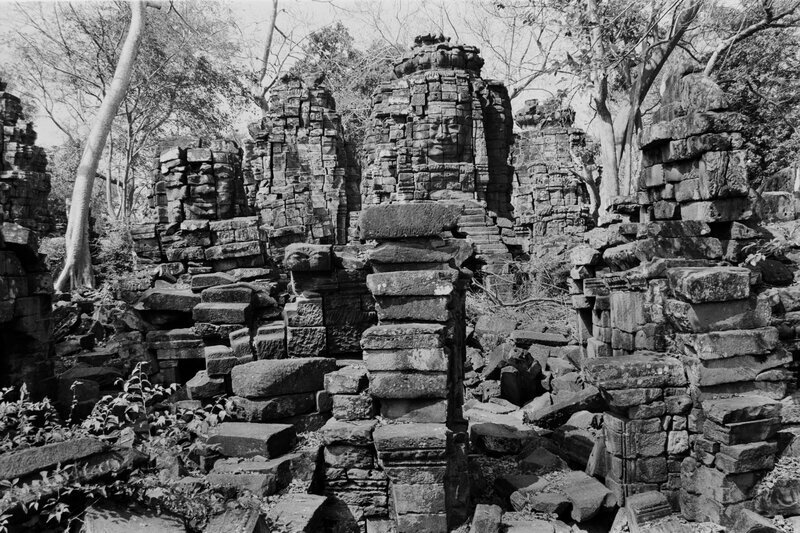 © École française d’Extrême-Orient, fonds Cambodge, CAM10921. 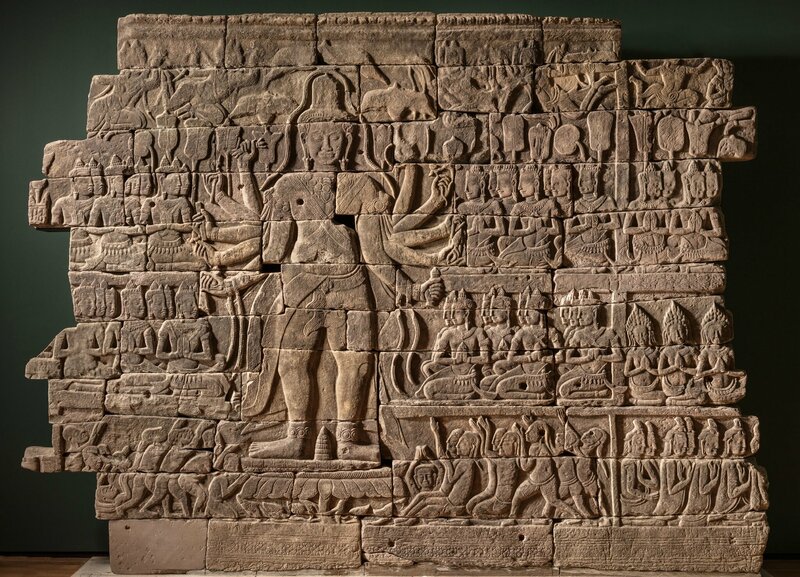 CLEVELAND, OH.- Beyond Angkor: Cambodian Sculpture from Banteay Chhmar features an unprecedented loan from the National Museum of Cambodia consisting of a section of the 800-year-old sculpted enclosure wall of the great royal temple at Banteay Chhmar. Intricately carved, the wall depicts a larger-than-life image of the bodhisattva of compassion in the form of the 10-armed Lokeshvara, “Lord of the World,” surrounded by devotees. In 2015 the Cleveland Museum of Art forged a Cultural Cooperation Agreement with the National Museum of Cambodia, following the transfer of a tenth-century Khmer sculpture of the monkey god Hanuman from Cleveland to Cambodia. The agreement allowed for exceptional works of art to be lent for exhibition at the CMA in order to promote knowledge and appreciation of Cambodia’s cultural heritage. 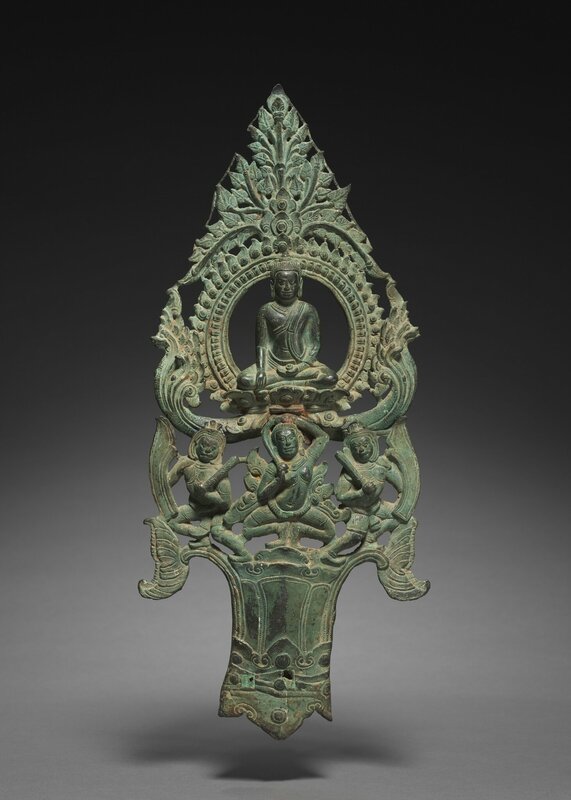 Complementing the 9-foot tall by 12-foot wide sculpture are works from the CMA’s renowned collection of Cambodian art. The works on view have been contextualized by immersive photographs of the Banteay Chhmar site by Jaroslav Poncar, a photographer and professor of optics at the University of Cologne in Germany, and digital reconstructions by archaeological architect Olivier Cunin. Beyond Angkor: Cambodian Sculpture from Banteay Chhmar is on view in the Kelvin and Eleanor Smith Foundation Exhibition Gallery from October 14, 2017, through January 7, 2018. Sculpted Cambodian temple walls cannot typically be seen in museums, because they are integral parts of the architectural monument itself. To view them, one must travel to the site. 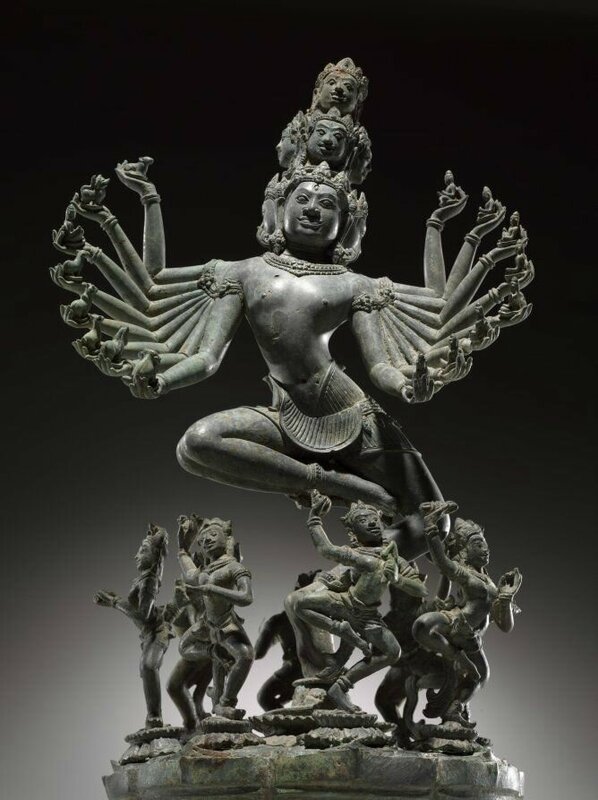 This section with the ten-armed Lokeshvara, however, was removed with heavy equipment and trucks in 1998 for illicit sale in Thailand. It was seized by authorities at the border and then sent to the National Museum of Cambodia in Phnom Penh for safe keeping. 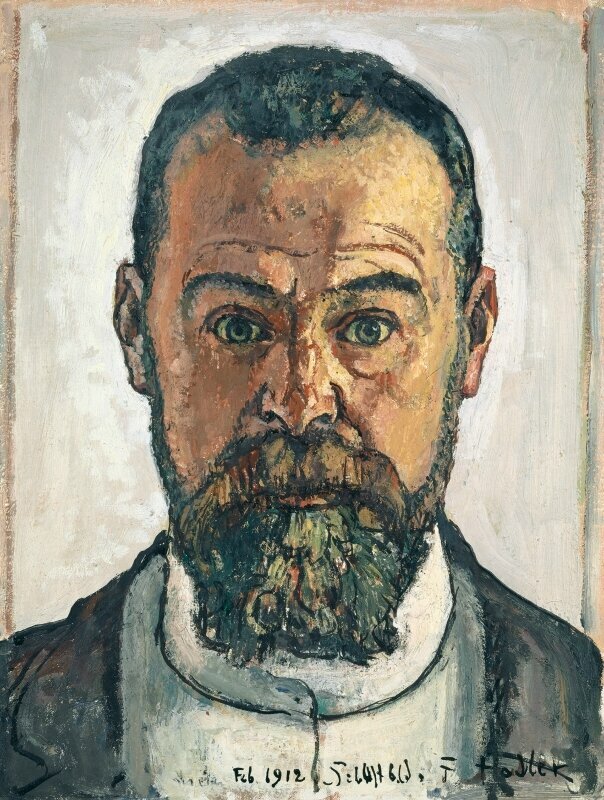 It is being lent to this exhibition for the first time, to one venue only: the Cleveland Museum of Art. Banteay Chhmar’s location is remote and after the demise of the Khmer Empire in the mid-1400s, the temple escaped occupation and alteration by followers of other religions, and thus stands as an important document of Buddhist art and religion during Cambodia’s Angkorian period. 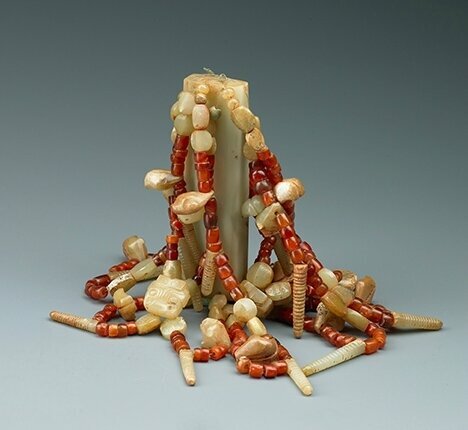 Its inclusion in this exhibition has resulted in new discoveries about its meaning and function, made possible through the generous collaboration of scholars and specialists around the world.